Starting at just $135/Hr, this 7 and a half hour private tour is a fantastic way to spend the day exploring Los Angeles, Venice Beach, Santa Monica, Beverly Hills and Hollywood. Your tour guide will narrate your day-long trip so you can pick up some facts and impress your friends and family members with your knowledge of the LA area. You’ll get to spend up to 45 minutes at every stop, so you can have a hands-on experience. 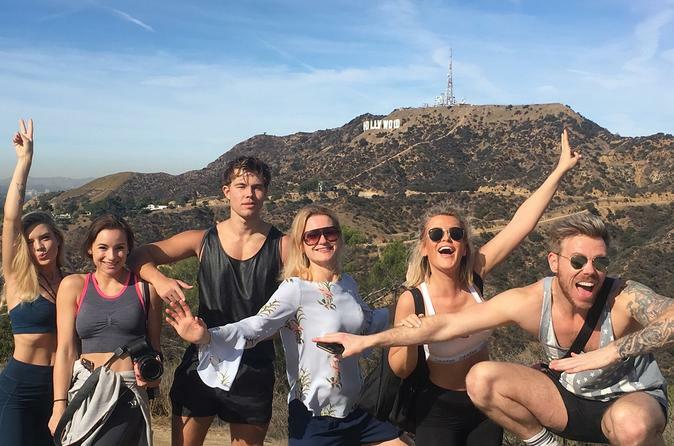 Griffith Park or the Mulholland Drive overlook, Rodeo Drive, The Grove & Farmers’ Market (1-hour for lunch), the Hollywood Walk of Fame and the Sunset Strip are just some of the sights and attractions you’ll visit on this incredible tour. This tour offers free hotel pickup and drop-off within the Los Angeles area. With over 2,500 5-Star reviews on TripAdvisor, Yelp and Google – you simply can’t go wrong! We start the day in the beautiful, vibing and hip Venice Beach where you’ll see muscle beach, skate parks and the birthplace of surfing! See the World Famous Pier in Santa Monica. Window shop with the rich and famous at Rodeo Drive in Beverly Hills. Check out the historic Whiskey, Viper Room and Roxy music clubs while cruising down the Sunset Strip. Enjoy a delicious lunch at at a true LA icon, The Farmers Market at the Grove. Visit Grauman’s Chinese Theatre (and find your favorite stars’ hand and footprints), the Kodak Theatre (where the Oscars are held!) on our stop at Hollywood Blvd. All this and much more to see along the way while being thoroughly entertained by your guide! Fun, friendly, informative, and hilarious guides! Our leather bound luxury vehicles are high end with great AC. If you are staying on the west-side we can have you back in time for a beach sunset! 7 and half hours of fun with free hotel pickup and drop-off!